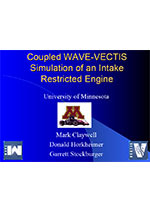 WAVE is capable of co-simulation with Ricardo’s 3D computational fluid dynamics (CFD) code, VECTIS, or various third-party CFD codes including STAR-CD®, Star-CCM+®, Fluent® and Fire®. 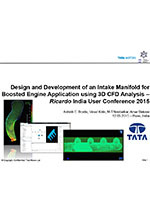 In addition, the WAVE3D module enables fast and reliable set-up, solution and post-processing of a fully coupled 1D/3D CFD analysis. 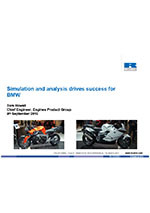 This is performed entirely from within the WAVE environment and without the need for a separate CFD package. 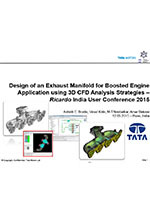 1D/3D co-simulation enables users to perform a high-fidelity analysis of 3D geometries such as exhaust collectors, intake manifolds and catalytic converters. This is achieved by modelling complex 3D physical phenomena such as turbulence and secondary gas mixing, which cannot be captured by 1D fluid dynamics codes.